Chicken cacciatore translates basically to ‘chicken the hunter’s way.’ It’s a recipe that comes from the Italian countryside, where hunters and farm wives would use provisions that didn’t require refrigeration to turn the day’s catch into a meal that would feed a lot of people. Like many country recipes, it benefits from a lot of flexibility; you can play fast and loose with the amounts of pretty much anything in here, or substitute things for other things you haven’t got on hand, and it will still be delicious. You can even cook it over a campfire, if you’re so inclined. This recipe is also fantastic for feeding kids, particularly if you’re doing baby led weaning like we are. It expands to feed an army inexpensively (I cook double what the recipe calls for in order to have some hope of feeding our little bottomless pits). 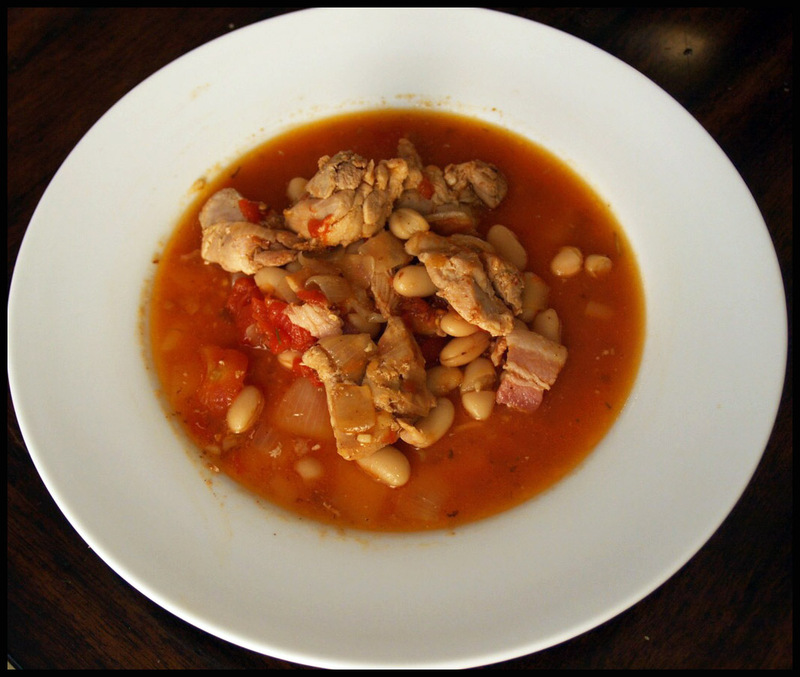 It also includes things kids like: chicken, beans, and tomatoes. 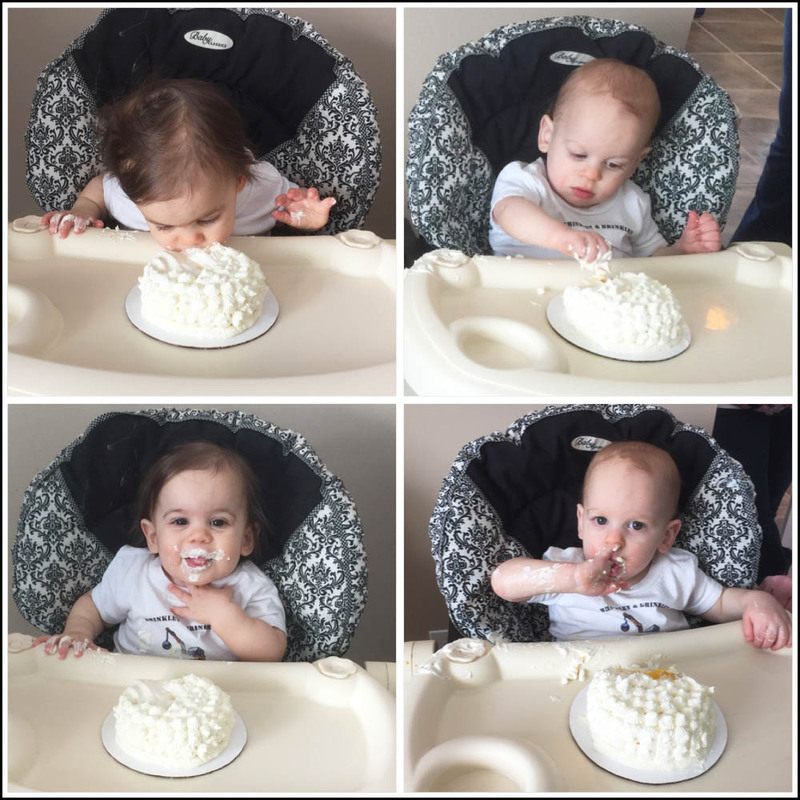 Once our babies mastered the pincher grasp, they became deeply interested in beans. I’m in the process of revamping my online presence, so I’m going through the bits and pieces that were hosted on my old website and determining what stays and what goes. While I was doing so, I found a piece I’d written up about proposal writing, and thought that some of the advice was still relevant no matter the circumstances. I spent almost ten years as a technical writer, writing proposals for government contracts, before I became a Stepford Wife stay-at-home mom. A lot of what I know about writing proposals and other technical documents is pretty globally applicable, especially if you’re in the phase of a writing career (or any career) that involves writing – particularly nonfiction – to a directive. In other words, if you need to write something that is going to sell yourself or your work, or if you need to demonstrate a plan of action in some way, or if you have been given questions to answer – it’s all proposal writing, when you come down to it. And hey, if you’re writing actual proposals and find this, enjoy! Enjoy those deadlines. I’ll be over here, mall-walking. Here’s what I wrote about proposal writing, back in the day, for preservation’s sake. The thing about having a schedule is that it gives you the confidence to ignore it. What I mean is, knowing that tucked securely in your back pocket is a firm, decided-upon schedule can give you the ability to break away; you know that should everything go wrong, you have a plan. 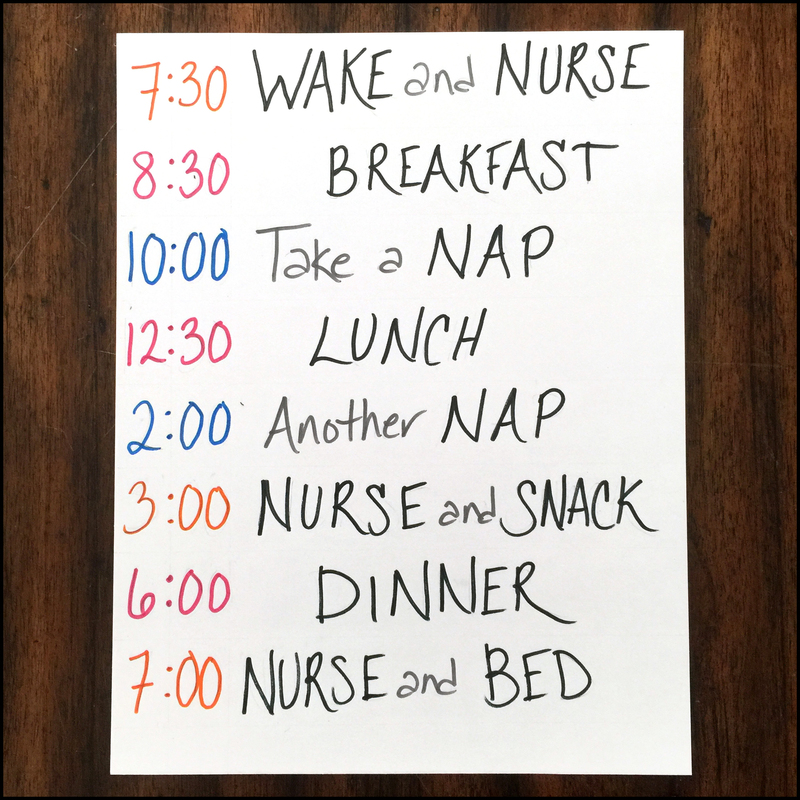 You know what the schedule will be and thus you know what to do to get back on it. All this is to say that now, at one year old, we are doing a lot of straying from our schedule. It has taken a long time to build up the confidence I am talking about; but we have proven that we can make, keep, and evolve our schedule successfully, so I am much more willing now to go off of it if I need to. That confidence has come just in time, because we are growing ever closer to both weaning and dropping from two naps down to just one. Yikes! I think both of those milestones will hit sometime over the summer, but we are trying to ease gently into in over the next few months. Here’s our nominal schedule, with notes on how we depart from it frequently. Here’s a confession: for all the cooking I do, I’m still sometimes a little leery of cooking seafood. I grew up in a landlocked area, so the wealth of seafood we have here on the coast still sometimes astonishes me. Here’s what we did have where I lived: salmon. The best salmon in the world, actually; but still – salmon, and salmon alone. For years, I avoided it, because I was tired of it. Why have salmon when there’s so much else out there?? But eventually I came back around, and this recipe is a big reason why. It is so easy, and practically foolproof. If you’re afraid of screwing up fish, try this. It’s a great confidence booster. 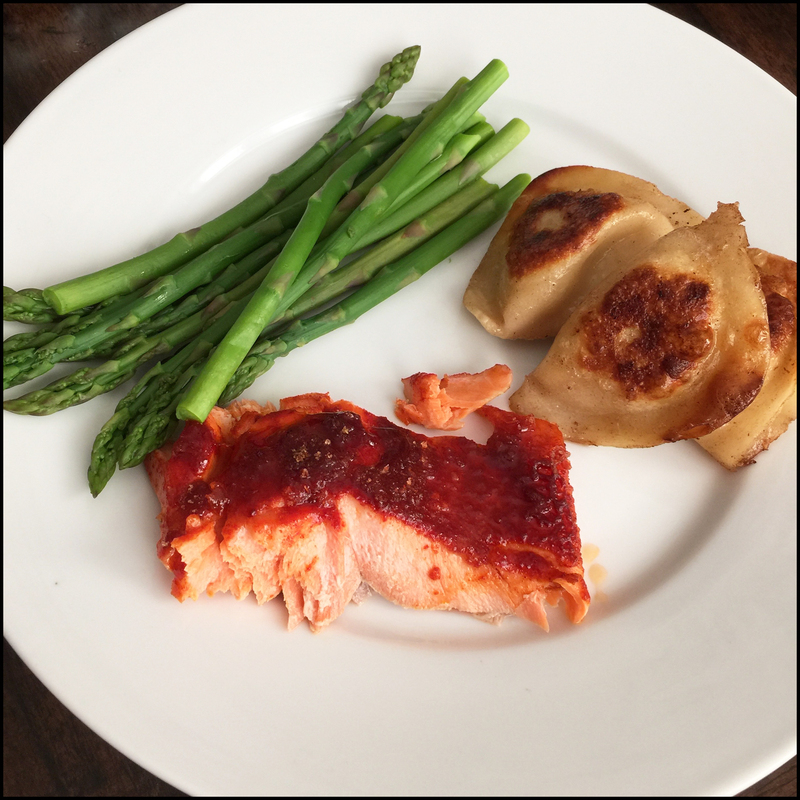 My favorite place to buy salmon is (of course) Costco; I usually buy large fillets that are about 2 pounds, sliced from one side of the salmon. When it goes on sale, I buy several and stick them in the freezer. Right now, one package is enough to feed our family, but leftovers are growing scarcer as the babies’ appetites grow! As a reader, there’s not much I love more than a good historical romance. And yes – I confess it – I love the ones with titled heroes. I’m a nerd for a duke, what can I say. But I came to reading romance pretty late – my first love, as it happens, is fantasy. So combining the two is pretty much a no-brainer for me. My favorite romance writers are the light-hearted ones: Lisa Kleypas and Julia Quinn are my favorites, by far. I feel the same way about fantasy; epic sword-and-sorcery has never been my jam. So when I thought about writing my own historical romance, I thought I’d like to see some magic in Mayfair. My husband’s first kid birthday cake was, I have to say, an unqualified success. Not only was it delicious – vanilla cheesecake mousse filling! – and decorated to the nines with tiny excavation equipment in a very realistic scene, but it had a major surprise inside. The inside of the round part of the cake was diagonally striped in yellow and black, just like construction caution tape! It was a huge hit. I thought I’d do a quick writeup on how we did it. February was, on the whole, a decidedly unpleasant month. Lots of drama and two weeks of illness put a major damper on our birthday party ambitions – which is probably for the best, on the whole. 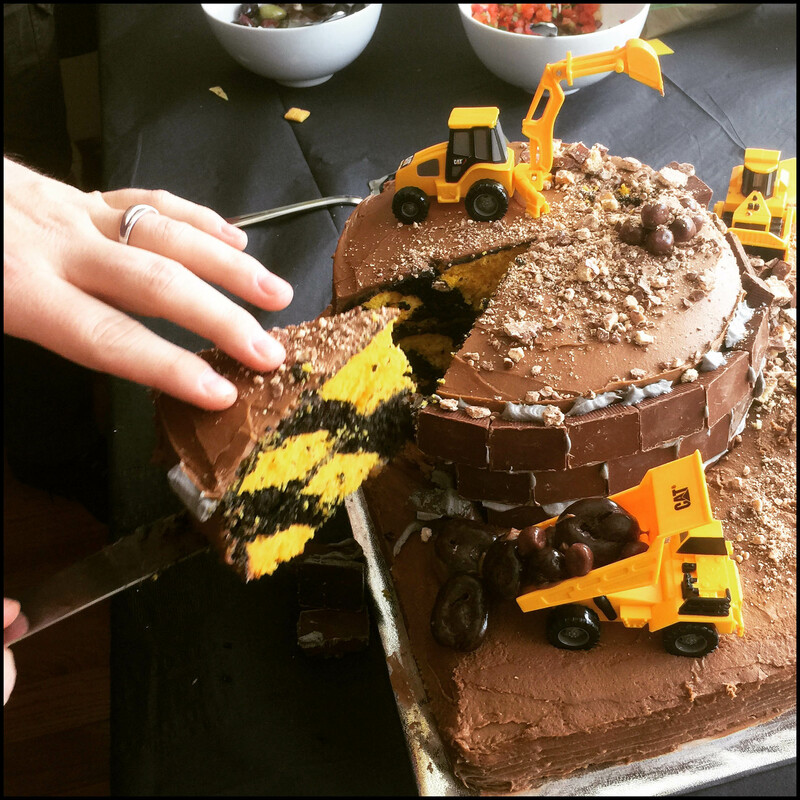 But we did manage to pull off a pretty great first birthday party nonetheless, and the construction theme was a big hit. The babies were pretty confused about the whole thing – skipping their afternoon nap in favor of lots of people and chaos around didn’t help, I’m sure. They got their own “smash cakes” – just a couple of pieces of cake I’d cut from leftovers from making the big cake and covered in whipped cream. They were somewhat unimpressed, but tried to get into the spirit of the thing since there was a vast crowd of people standing around egging them on. We had a lot of fun putting together the birthday party. A few of the things on our master plan didn’t wind up happening, but here’s a recap of what we did.